Guardian News & Media (GNM) recently announced that Lenore Taylor has been appointed editor of Guardian Australia as Emily Wilson returns to the London office to become assistant editor, following the completion of her two-year tenure in Australia. Lenore has been with Guardian Australia since its launch in May 2013, when she joined as political editor. With 30 years’ experience, Lenore has been honoured with two Walkley Awards and has twice won the Paul Lyneham Award for excellence in press gallery journalism. 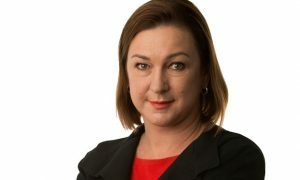 In her three years as Guardian Australia’s political editor, Lenore has provided astute analysis and maintained a high profile as a formidable commentator on the Australian political landscape. Katharine Viner, editor-in-chief, Guardian News & Media said: “I’m delighted that Lenore Taylor has agreed to be the new editor of Guardian Australia. Lenore has been with Guardian Australia from the very beginning, and an integral part of its success; she is a brilliant journalist and the ideal person to take Guardian Australia to the next stage of its development. I can’t wait to see what she does as editor. In her new UK role, Emily will have responsibility for global themes including environment, technology, global development, cities and global aspects of science and health.